Can anyone confirm if you can upgrade private rv's after you buy them. I.e. can you buy a level 1 and upgrade to level 2, etc. Or are you stuck with what you buy? My best guess, but don't take my word for it since I have never bought a private rv before is that you buy a private rv at a certain level and upgrade it until it reaches level 15 or wait until you have saved enough tokens to get the 100 tokens for maximum level private rv. Another theory is get a lower level private rv, but abandon it perhaps after you have saved enough tokens to get a maximum level private rv. If I remember correctly there is an option to abandon private rvs as well if that private rv is no longer needed. Whoever laughed at my comment can you prove that I am wrong? Correct me if I am wrong. Important to take note I mentioned two possibilities and not just one and if I am wrong that a private rv can not be abandoned then prove it. True that no troops can be held within a private rv, but it does not necessarily have to be permanent. What I meant by "abandon" is "disposed of" or in other words dropped without anyone else being able to claim it, because of it being private. While it may not necessarily be a good idea to drop a maximum level private rv it could also be dropped if I am not mistaken. Anyone know where you buy the private rv? Is this just unlocked when you buy the tokens? I can see where to buy the tokens but not the actual village. Shows you both public and private RV's - each type (food/wood/stone) on a different tab so be on right tab to see the private RV you want to up grade or buy correct type! 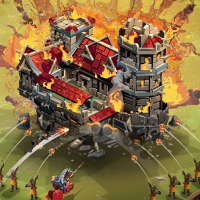 can't station troops in the prv's and the new layout doesn't allow us to see rv identity without a lot of clicking around - imo, this has been a clumsy and negative development for active players - the prv's just give a resource/food boost - and take away yet another strategic aspect of the game. Sadly we are losing more and more of the original strategy challenges that made this game so good in the beginning. Where is the challenge is buying troops/food/rvs ? Alongside the persistent and interrupting popups, the loss of game challenge is a very negative step indeed. Good job you can't station troops in Private RV's....gotta be some reason for the old ones to remain a valuable commodity and not totally undermine existing holdings and keep some sort of balance for everyone. If the few players that come in find they can't get any because the "old" public RV's get held on to by alliances (using fair means or foul) keeping the existing supply buttoned up. This development at least allows smaller alliances/newer players the chance of developing without having a significant gameplay avenue denied to them almost completely. I don't understand the token costs in samurai and nomad invasions. I get that you can only get 45 tokens per iteration of the events, but what is the difference between the 100 and 300 tablet tokens. Consider the 300 ones, as a speed tax. You want them fast, you gotta pay. Otherwise no difference. That is what makes Fuji's argument paper thin. My experience the gap just got a whole lot bigger as you were telling me it would close. Looking at how it works it is going to take a long long time for resource players to get anywhere near a full set equivalent to what ruby buyers can achieve. I had earned sets in all three realms I have none of the new ones in any realms. So what is already a massive food deficit is now pretty much insurmountable hard to imagine other than money why a designer would do something to further demotivate and demoralise an already dispirited player base looking at yet more suspensions of cheats whose alliances get off scott free yet again. Personally I like the private rv's hopefully in the long term it will put an end to the likes of crimson guard concocting a conspiracy theory and then using it as an excuse to nick any rv's they take a fancy to. In my view, it would have been better to implement a cool down time on castles, linked to level (=time to repair) for PvP, unless there is a mutual declaration of war. Forget 101 kit sets. Stick to the basic 4 types of kit and let people figure out the best combinations for different jobs. Have an RV night once a month in each realm - or to make it fair, have 3 periods in 24 h when 1/3 of RVs go to grass. We could then have the fun mayhem of lab night, on a much larger scale. Still waiting for someone to identify an good alternative, then I will be off. Buying the private villages just sounds like a GGE Ruby pit!!!! The RVs are or were free if you could cap them .Everyone is saying,OHHHHHHHH the big alliances have captured all of the free RVs Why can't gge just make more free RVs rather than selling them to you!!! the Rv's spawn depending on the number of players entering a realm - on uk1 we have not seen a spawn in over 2 years - might be 3 due to the number of players going to ruins - looting over xmas showed only 3k actives !!! Edit PS the private rv's can be bought for tokens earned in the sams or nomads ! so no ruby spend needed ! ...... looting over xmas showed only 3k actives !!! just for context.... that was a high for the UK/English language server, not a low!!! 1. I disagree with you. I caught many of my RVs with wolves and very little rubies because I didn't really buy them then. I had a very easy time in the beginning finding the RVs until somebody decided to stop releasing them, which made it impossible for the little guy to get any, so they would go into ruins and quit the game. Whoever the greedy jmoke was at GGS, they ruined the game for so many other players. It was once a good game. Now it's not, it more like a full time job. You have to be fighting in like 5 or 6 different worlds at a time, trying to keep up with everything, and for me that's when the Ruby buying started. I don't know what the reason is but the owners of GGS choked the life out of their own game because of their immense greed. Yes, because GGS stopped letting more out for all the new players. Same answer as for #2 above. And none of this would be necessary if it were not for the greed of GGS. And by the way, it took me almost 3 months to earn enough tokens to buy and upgrade the Relic Green house and I don't really see any benefit to that is worth the work to get it. And one last comment since this thread is about RVs: what the hell did the developers do with the screen we see when looking at our RVs? Are they kidding? WTF use did they think we would get out of it? The only useful part of this new screen is the one on the left where they separate the 3 types of RVs into Groups. The rest is useless. When I hover over the image on the left, all it says is "public village", then shows the 35%, which I already know since it can't be upgraded. Then it shows the number of troops where the name of the RV used to be. 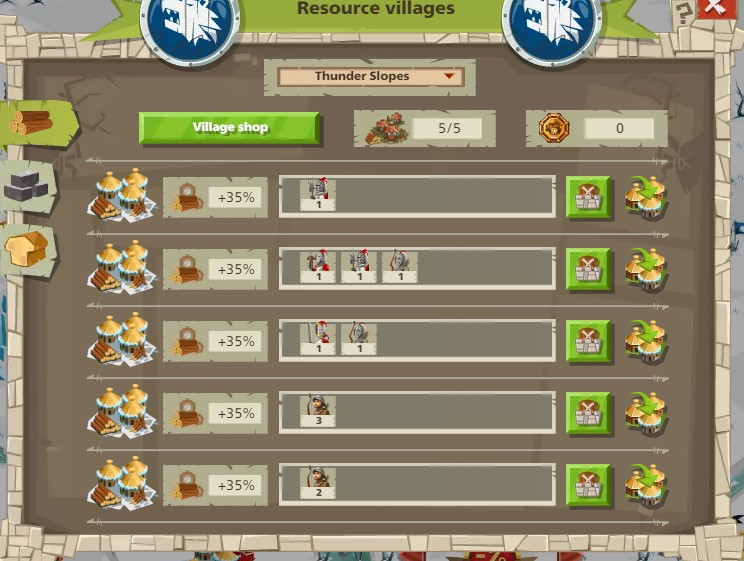 Then there is a button to station troops there and the village image when you hover says jump to it. This screen shows the type of village, the kingdom it belongs to, the name of the RV (if you don't give it a name like above, it just shows the coordinates of the RV), next the compass shows the coordinates of the RV, the next icon is to jump to the village and the last shows the distance from your castle in that land to the RV. There could be a combination of the two that would be really helpful. But if they don't want to change it, then give us back what we had before. that require more and more Rubies to be purchased and spent. How about some improvements for those players who don't or can't buy Rubies? Changes to events that allow only the "Ruby Whales" to obtain a full set of some really great equipment sets. The large number of challenges going on at the same time which makes it impossible to master them all and the icons for the events, and pop-ups that fill up my screen. The never-ending Sale Pop-ups that I have to keep closing these boxes and having these pop-ups interfering with tasks I am doing. And any more of events that require the use of large amounts of Rubies. It’s about time for GGS to pay attention to all the players. No-one decided to stop releasing RVs. They still release. The thing is, when you and I were getting them, the number of players on a given kingdom map was going up - every time it got to the point where the edge of the map had to expand to fit in new players, new RVs spawned. 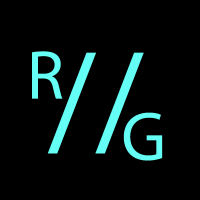 This has stopped happening now as the overall number of non-ruined players is not at its peak in most of the current servers, and this is definitely true on UK1 and US1 - because of this, no new RVs are spawning, but this is not due to some business decision at GGS, it's due to player population. This is pretty much exactly why I do support the addition of private RVs. 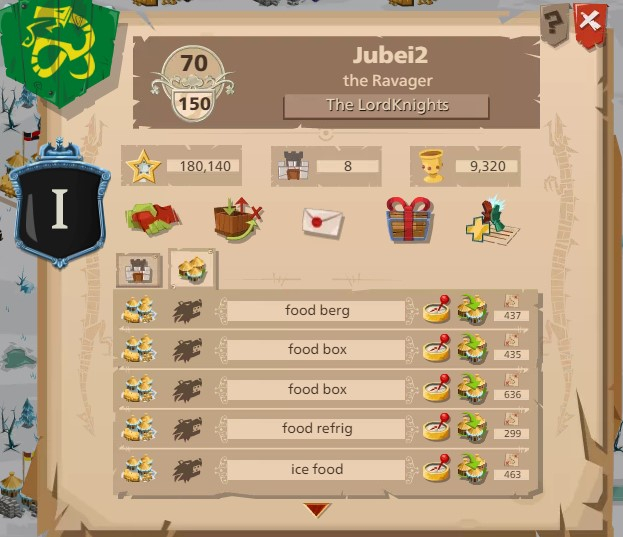 Now the heavy players are replacing their foods and dropping public ones, and it's freeing up those public ones to the res players and lighter players who would have no chance of getting them otherwise, and ofc the lighter players can also get RVs without even needing a fresh spawn to do so by getting private RVs of their own. And the “heavy” players having bought them first and replaced them faster are now well over 2 million might points based on buying the level 15 private rvs whilst the rest of us are supposed to be happy with less for longer. Resource players regardless of how good they are performance wise are limited in the number of RVs they can obtain per round which creates a clear advantage for buyers which over 75 rvs or 75 rounds will be significant. And given to alliances have been exposed for cheating with players openly banned the practice of hoarding rvs in multi accounts and dead alliances doesn’t get any better in hindsight regardless of how many rvs you shouldn’t have had you drop. The gap is so enormous across all events now and in any war this whilst a problem isn’t the biggest issue honest players face. Until alliance bans are introduced with retrospective penalties game won’t be fair. This is pretty much exactly why I do support the addition of private RVs. Now the heavy players are replacing their foods and dropping public oSorrynes, and it's freeing up those public ones to the res players and lighter players who would have no chance of getting them otherwise, and ofc the lighter players can also get RVs without even needing a fresh spawn to do so by getting private RVs of their own. Sorry to tell you but this is absolutely not true. I bookmarked a tower on Evergreen more than 6 years ago and there is still nothing that has come up there. However, there were RVs still spawning on Sands and Fire for almost 2 years later. Now where did all the new players come from in these 2 worlds if so many were going into ruins in Everwinter? I really thinkg that GGS believes we are all stupid. I'll tell you, from the Ruby Whales that GGS supports like there is no tomorrow and drops poop on the rest of the players. These large alliances who use lots of Rubies are cheating like there is no tomorrow with the RVs. When an alliance member quits the game and goes into ruins, the alliance takes all of their RVs and stashes them somewhere, so that they retain these RVs. They do this by creating a lot of Alts in their alliances and even taking the keys to those in Ruins and bringing them out so that others can't get any. GGS has promised to stop all of this cheating, but they have not done the job they promised, so Yes, it is the fault of GGS. And the second part of that is buying these Village Tokens for Private RVs, which you can only get by spending more and more and more rubies to earn them in the events that are not good for anyone who doesn't spend on large amounts of Rubies. So until GGS keeps up with their promises the only playing these ridiculous events are those that are spending the huge amounts of money. Have you even played the game in the last 4 months? Tokens are SUPER easy to get. Have you looked in everwinter lately? Spend 2 minutes at the edge of the populated zone moving around and I guarantee you will find an unoccupied one. Play the game.